Treasure Ring Find of a Lifetime! 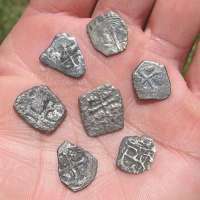 I had often read all the "find of a lifetime" stories in the metal detecting magazines and I thought to myself how would I react if I was lucky enough to be in the right place at the right time. 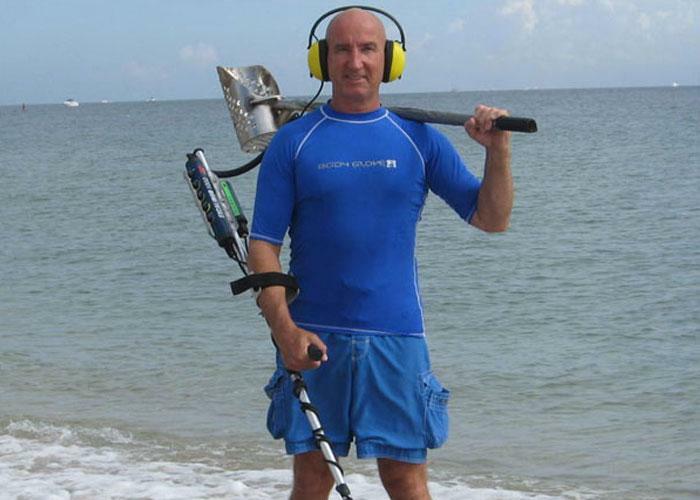 Finding something that would make the headlines in the metal detecting world was the furthest thing from my mind when I packed my metal detector in the family vehicle that evening. The next morning we headed North for the trip up to the treasure coast for a family day at the beach on the famous Treasure coast of Florida and on to our date with treasure hunting destiny. The beach we had planned to visit was one that I had metal detected at before but it had been some time since I had found any older shipwreck finds there. The last time I had metal detected the area the beach was really sanded in and signals were scarce. While the rest of the family were busy combing thru a long pile of shells that had washed up from a previous tide it was time for me to get ready to do some Spanish treasure hunting. I began sweeping my search coil just above the sand in my usual slow methodical style while waiting for a signal thru my head phones. [split] On this morning unlike my last visit to this site the silence did not last very long as an old friend I had not heard from for quite some time announced its presence in my headphones, It was the unmistakable high tone of a small silver reale. I had just found a Spanish silver one reale from the famous 1715 fleet, a little piece of Spanish treasure lost for nearly 300 years and now resting in the palm of my hand. 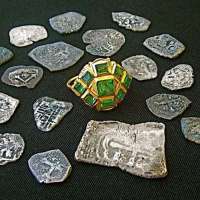 After admiring my find and securing it in the front zippered pocket of my finds pouch I started to comb the area where the reale was found hoping that I could find another silver treasure coin. The mornings metal detecting adventure appeared to be over as I reached the end of a shell pile but just as I reached the end of the shell pile my metal detector alerted me to the presence of a non ferrous metal object. Only this time the signal was quite different from anything I had ever heard before. The signal was a large booming deep low tone, should I bother digging this crazy low tone as it was only going to be a tin can I thought to myself. I had not had many signals so even though I suspected the noise to be coming from a deep buried tin can I decided to dig the target anyway because after all this would be my last dig of the morning. "What is this thing and where is it" I mumbled to myself as there was still no sign of anything and the signal was getting louder as the hole got bigger. I rechecked the now knee deep hole with my search coil and I decided to try one last scoop of sand. The last scoop of sand was tipped out on top of the spoil pile and I peered down into the hole. It was not the tin can I expected to see at the bottom of the hole. In a moment that I will remember for the rest of my life I gently tugged at the gold colored band and turned the underneath of the find towards me. 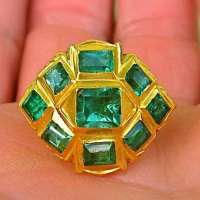 I could hardly believe my eyes as sparkling in the Florida sunshine were nine magnificent near flawless green Colombian emeralds set in 22.5 K Inca gold. Oh my god! Oh my god! I shouted at the top of my voice with my whole body starting to tremble as I dropped to my knees. 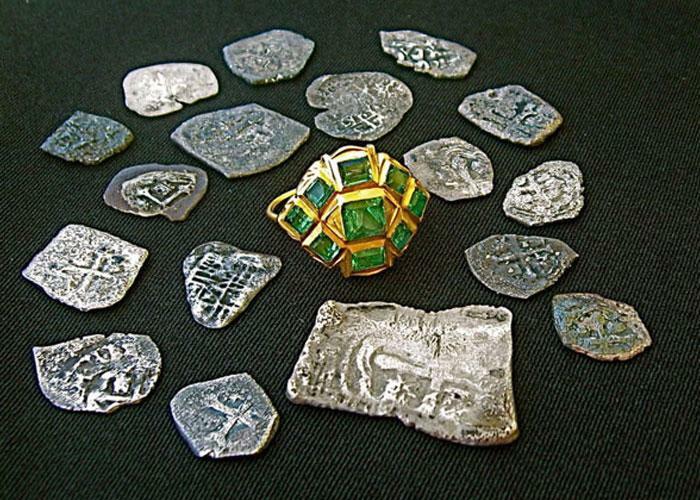 I had just found a beautiful intact piece of historic jewelry from a Spanish galleon, a true treasure hunters dream find. What a way to find my first piece of gold, my first ring, my first precious stones, all in this beautiful Spanish 1715 fleet treasure ring. 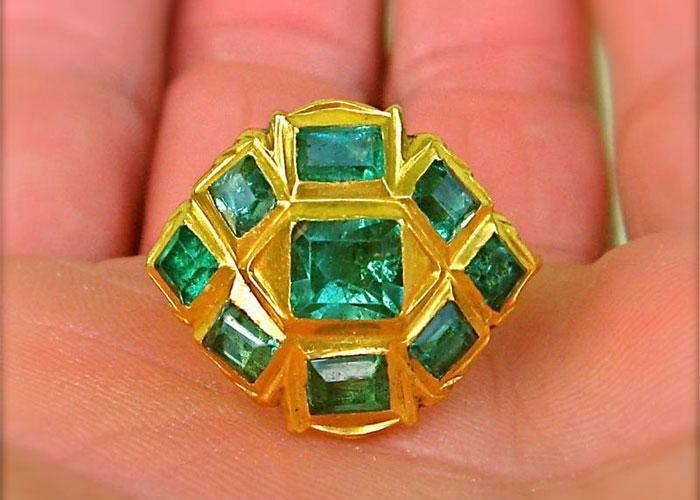 I had the Spanish 1715 fleet treasure ring authenticated, I learned that the emeralds in the treasure ring came from the Murzo region of Colombia, and that the ring was probably crafted in Mexico before taking that fateful journey and ending up lost in the ocean along the Florida shoreline after a fearful hurricane in 1715. 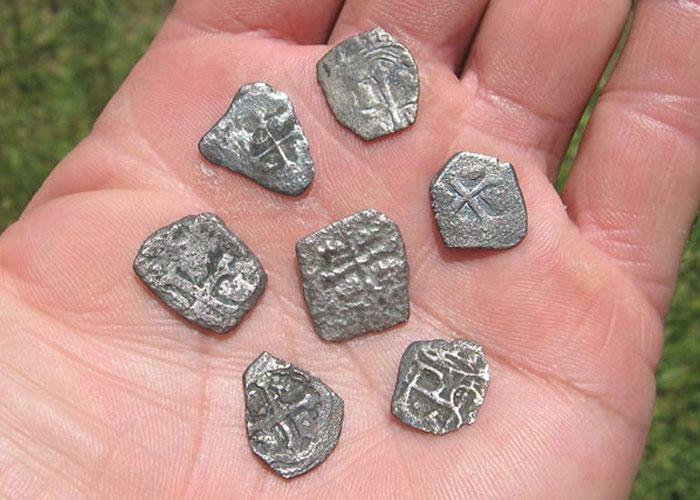 Finding Spanish treasure really is the stuff of metal detecting dreams! 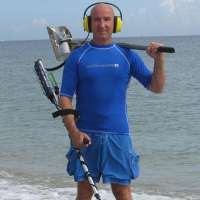 Gary's new book "Metal Detecting for Spanish Treasure - The Beach Treasure Hunters Guide" is now available. Check our our books section under metal detector accessories.